I have an interest with small creatures that could fly, and what more could best fit that description are birds. There are certainly so many birds that are very well suited to be made as pets, but the Gouldian Finch certainly caught my eye, and of course my heart too. Gouldian Finches pets are very easily spotted from a far as they have the brightest color feathers among all the other birds in the world. These colorful pet birds are classified as endangered species as its population is estimated to be about 2500 birds in the wild forests of northern Australia. Due to its limited number, the Australia government has banned the exportation of these finches in the early 60s. Gouldians Finches pets are very petite birds with a measurement of about five to five and a half inches in size, which is about thirteen to fourteen centimeters in length. It is easy to distinguish between a male species and a female species from the tail feathers and the distinct coloration of these finches. A male species has a brighter and variant coloration with a center tail feather which is longer as compared to the female species. 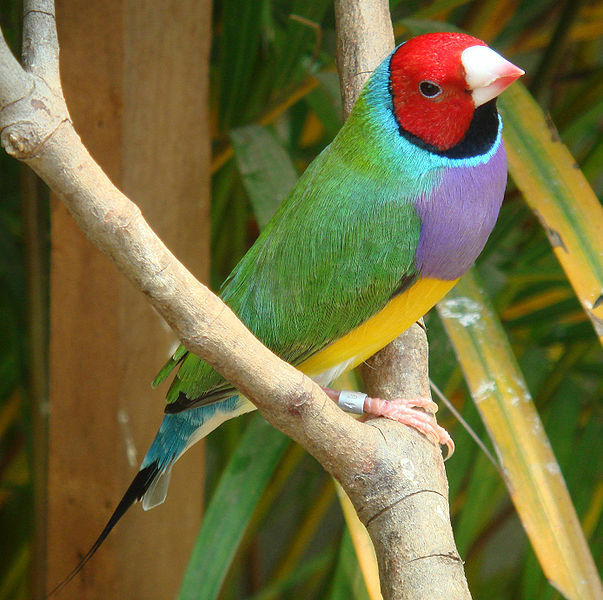 There are various species of the Gouldian Finches but each is very unique in its color combination, but one thing that they share in common is how striking and bright the colors of their feathers can be. Some have purple-blue chest, green wings, a black head and even streaks or highlights of red and yellow feathers as well. 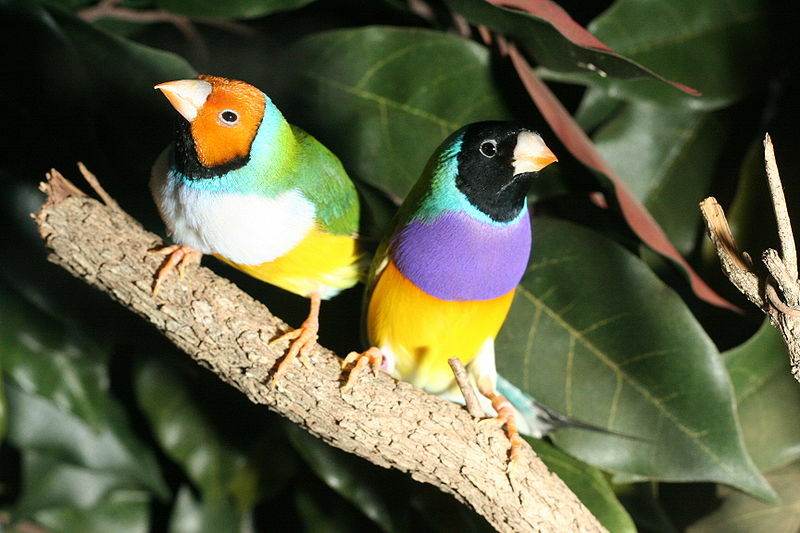 Gouldian Finches pets are not easy to rare and care for comparing to other breeds of finches. Breeding is also difficult for Gouldian Finches but they are generally easily recognized through three basic coloration species, namely the red-headed, yellow-headed and the black headed finches. Every morning, my Gouldian Finches pets soothes me with their soft beautiful chirp, bringing in soft gently melodies into the house. My male species finches do sings at times, humming soft tunes that are sometimes just so beautiful, but the female finches do not sing. I rarely hear any songs or chirps from the female species too. However, my Gouldian Finches pets do not like to be carried or petted on the head or body. I was very surprised when my first Gouldian Finch started molting, but I came to learn that it is part of their natural process as it takes a few months time for them to be colored up and also obtain their adult feathers when they have reached a certain maturity age. Because of this trait, Gouldian Finches are rather higher in price compared to other species of finches. It is also very important to note that closely related finches should not be allowed to mate with each other as the offspring resulted from this may be weak and then eventually affects the whole breed of this new generation of finches.